Next time you’re driving on the motorway, take care to look out for learner drivers. From 4 June 2018 driving instructors will be able to take learner drivers out on the motorway after years of safety campaigns aimed at giving new drivers the confidence to venture out onto Britain’s fastest roads. A recent poll conducted by Citroën UK and Institute of Advanced Motorists (IAM) RoadSmart shows that even drivers agree, with 61 per cent believing that motorway driving should even be part of the driving test. The test itself was updated as recently as last December to make it more relevant to modern-day driving. Previously only those who held full licences could drive on motorways, and the only way to gain supervised experience was to take Pass Plus lessons with an Approved Driving Instructor (ADI). Many new drivers would develop skills such as joining traffic from a slip road, driving at speed and lane discipline on their own. “It has never made sense to us that new drivers on our most important roads learned how to use them by trial and potentially fatal error. The government’s insistence on the use of approved instructors and dual-controlled cars is a welcome safeguard that will ensure consistent levels of training and a proper phased introduction to motorway driving skills. “Delays and injuries caused by driver error blight our motorways and with new systems such as smart motorways being widely introduced, it is vital that the level of knowledge and skill among motorway users is improved to keep our key economic routes flowing. Not every learner driver lives near a motorway and some won’t want to venture out onto roads with high volumes of fast-moving traffic, so these lessons aren’t compulsory. However, they are certainly invaluable to anyone looking to develop their skills and experience ahead of the driving test. Unlike non-motorway instruction, you must have a DVSA-approved instructor alongside you on a motorway and the car must have dual controls. These instructors will have a green DVSA badge, usually displayed on the car’s windscreen. You can find a DVSA-approved instructor on the gov.uk website. Rule 253 of The Highway Code was updated on 4 June 2018 to explain learner drivers are allowed on the motorway with an ADI in a car with dual controls. Your instructor won’t let you drive on the motorway until they are sure you are ready. When you reach the required level of experience and competence, they’ll let you know. Pass Plus lessons will still be available with your instructor once you’ve obtained your full driving licence. 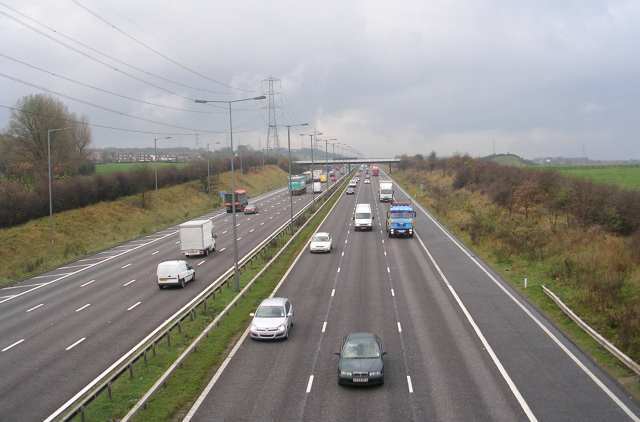 Even though it no longer offers a unique chance to gain motorway experience with an instructor, it’s still worth considering as it will help you gain more experience in different conditions.